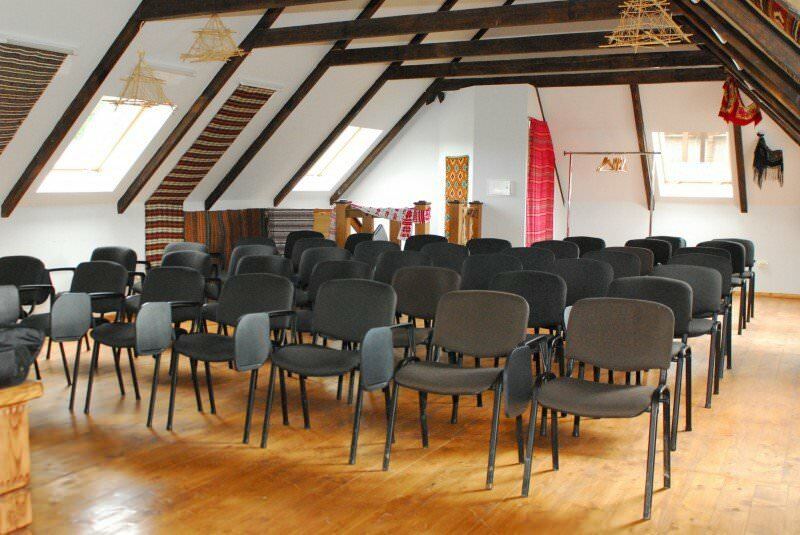 Hotel “Koruna” is a perfect place for conferences and seminars. Corporate events combined with the rest at Carpathians will become not only effective, but also useful and healthy experience for your colleagues. Perfectly equipped conference-halls in “Koruna” can welcome up to 200 guests simultaneously – there are two halls at your service, for 150 and 40 people. You can agree the format of the event and the necessary equipment with the hotel’s administration. Our staff will provide you with multimedia projectors and screens, sound equipment, microphones, and computers. In addition, we will organize tables and chairs according to your needs. Apart from this, “Koruna” will take care of the leisure for your colleagues: coffee-breaks in the fireplace hall, active pastime, excursions, etc – everything that the format of your event will allow. Only during the last year the medium and large businesses entrusted us the organization of 51 company events. Choose our hotel and you will not regret! 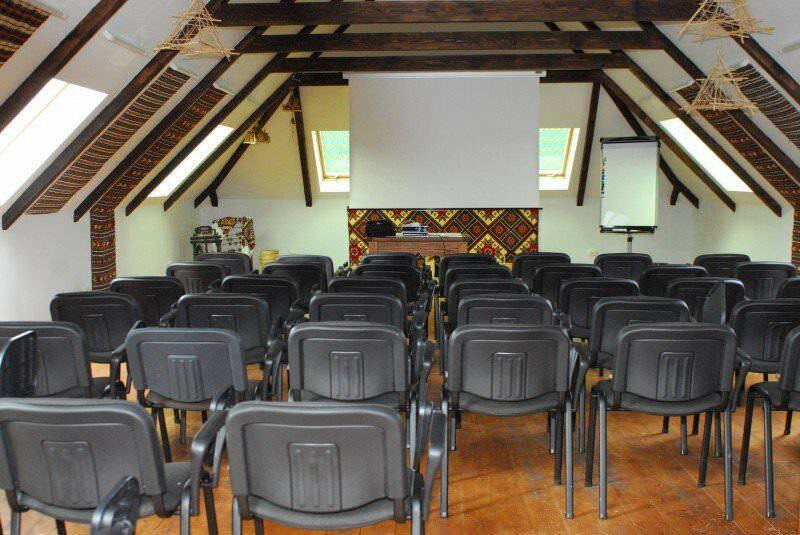 Give a try to high-quality meeting room services in the Carpathians. “Koruna” Hotel has a perfect space to offer to business leaders, couches, artists, and organizations for large gatherings. You will find yourself at the heart of the Carpathian Mountains, surrounded by rich forestry and friendly locals. 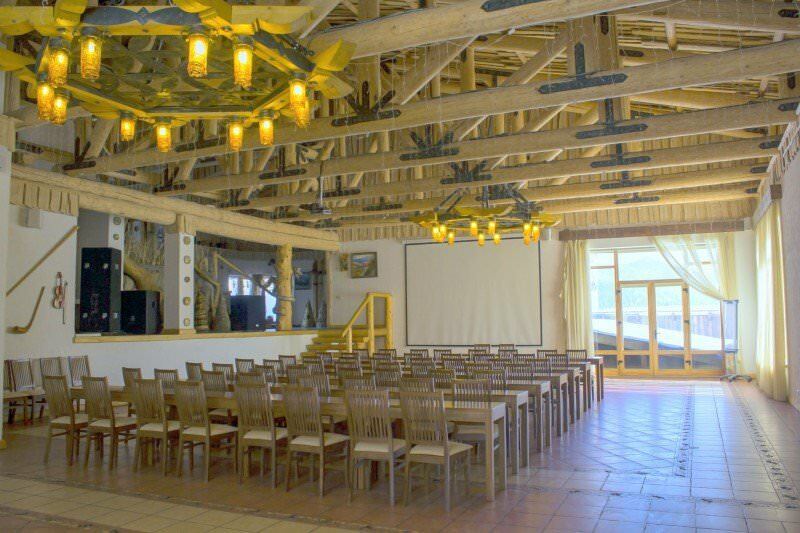 Combine business and pleasure by choosing to rent a conference hall in Bukovel. Discounts and special offers for our clients. Choosing one of two perfectly equipped and comfortable conference halls (with 40 or 150 seats), you and your audience will spend a wonderful time in and outside the hotel. Meeting room services in Bukovel are reasonably priced. The rental price of a conference hall in the Carpathians in“Koruna,”may vary depending on the duration and type of services included.